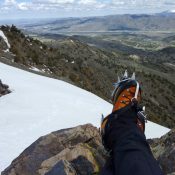 An Alpinist Guide to Pocatello – Snow Climbs and Scrambles, by Scot Kelchner is now available on the Idaho A Climbing Guide website. This is a guide to some of the local spots Scot Kelchner enjoyed during his 13 years of scrambling peaks in the Pocatello area. He made the guide available as a farewell gift to the community via the Pocatello Trails Facebook Group and graciously allowed us to make it available to the larger Idaho Climbing Community via Idaho A Climbing Guide. 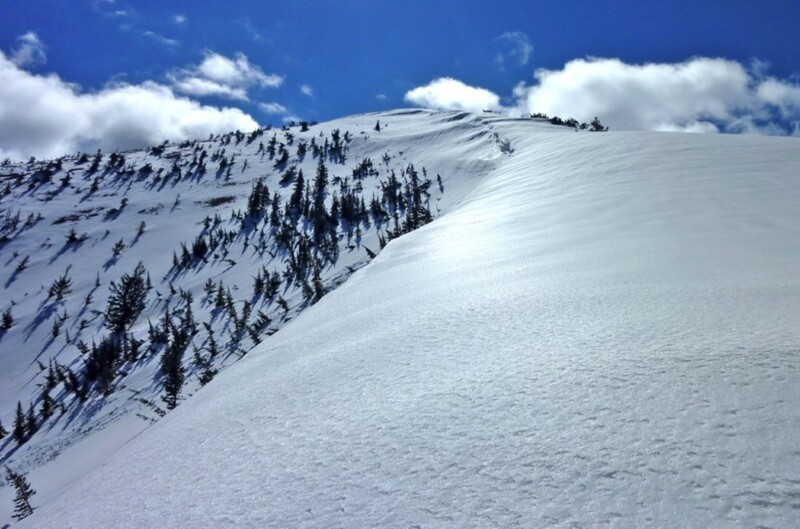 The Crescent: a large semi-circular snow heap visible on Snow Peak until mid-summer. Scot Kelchner photo. Scot Kelchner front pointing, Snow Peak. Scot Kelchner photo. Having summited the peaks in his guide, I disagree, and found Scot’s work sufficiently comprehensive, accurate, and intriguing. In addition to route descriptions for five prominent area peaks, he includes two traverse routes, the Portneuf Traverse and the Seven Summits, a traverse of the Bannock Range. Both traverses summit some of the area’s most notable peaks. 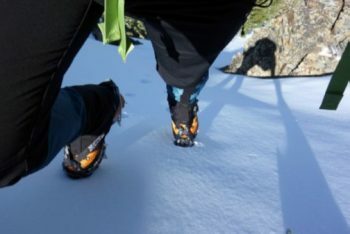 Kelchner’s guide can easily keep you happily occupied in the local area and, with the experience you gain via these routes, be the gateway guide for bigger peaks throughout Idaho. 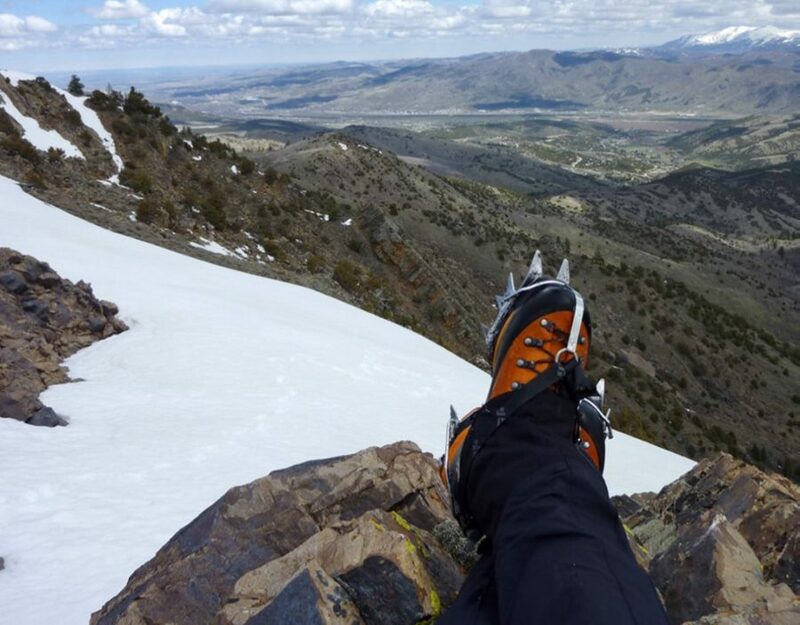 The full guide is available to read or download in pdf format through this link, An Alpinist Guide to Pocatello – Snow Climbs and Scrambles, and via Scot’s personal website. Thank you so much Scot for this great contribution to the Idaho Climbing Community!